When I started blogging with the others at Gardening Gone Wild late last summer, I knew there was no shortage of topics to write about at that time, because there was so much going on in the garden. As fall approached, though, I heard of a few garden blogs taking a hiatus for the “off season,” and I wondered if most garden bloggers disappeared during the winter. Well, far from it, apparently: seems to me that the garden-blogging community keeps on going (and growing) no matter what the weather. Just like many of you, I imagine, I’ve found that the minimal action outdoors has provided a great excuse to go back through years’ worth of garden photos, and they’ve sparked all sorts of ideas for new things to write about. So, I decided to start this blog as a place to post some of my excess musings and photos. 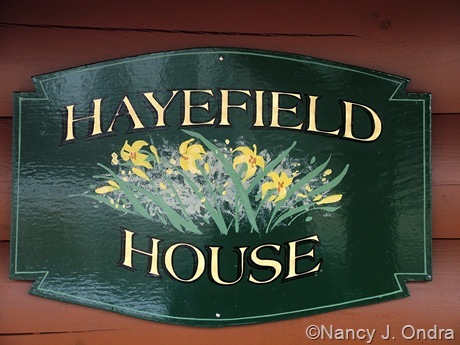 Why “Hayefield”? Well, I’ve always thought it was cool to name a garden, and since my own garden was formerly a hayfield, that seemed like a natural choice. (That’s probably a side effect from reading Charlotte Bronte too much; you know, Thornfield in Jane Eyre and Briarfield in Shirley.) But it couldn’t be simply Hayfield, so somehow an “e” popped up in there, and it stuck. So, now you know! Adding an ‘e’ makes a world of difference in the elegance of a name, doesn’t it? ‘-> So very glad to have found your very own blog and have added to my favorites list, the old fashioned way of keeping up with the blogs I like best! With my American garden blogger friends I always wonder where they live, for you it’s Pennsylvania! Lovely, now I’ll get to know quite a bit more about your state too. Here in Europe we only have the vaguest of ideas about all the different states in the USA. We know most about California and Florida. And about some city called New Amsterdam, er I mean York. :-) But that is pretty much it. Through blogging I’m learning quite a lot about life (and the weather) in the other states too! I’m so glad you found me here, Yolanda! 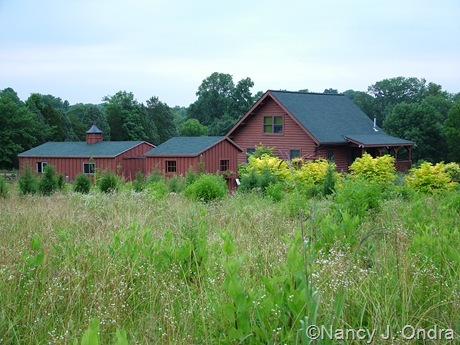 Yes, at some point I’ll put together a post about my area for Jodi’s Garden Bloggers Geography Project. I too enjoy learning about gardens in other regions and other countries. It’s fascinating to see how some of us enjoy the same plants, and to learn about new plants too.